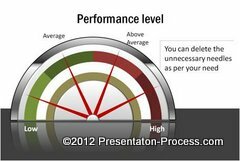 Are you irritating your audience with your PowerPoint Custom animations habits? Overcome these top five irritating habits while using animations in your critical business presentations. The animations you use to ‘spice up’ your presentations may be driving your audience away. This article helps you take stock of some irritating habits in using custom animation, which you may have picked up along the way. This one really tops the list of the 5 irritating habits. You may want the audience to REALLY enjoy your custom animation as it unfolds ever so slowly on your slide. But, the awkward silence between your click and the end of animation is unnerving. The worst part is – you can’t even talk while the animation happens on the slide, because your audience is busy watching the action instead of listening to your words. Use Fast or Very fast timing for your animations. Don’t rely on default timing for animations. Many of them are set to ‘Slow’. Realize that any movement on a slide attracts audience attention. If the movement has no specific purpose, the audience gets irritated. If you have been using ‘exciting’ custom animation options just to keep your audience entertained, it is time to stop it now. This is especially true when you make serious business presentations to influence audience decisions. Use only ‘Basic’ or ‘Subtle’ custom animations unless you have a very specific purpose to use ‘exciting’ option. Explain the reasoning for your ‘exciting’ animation to address your audience’s curiosity. This is one of the first habits you pick up as an amateur presenter. The habit really gets on to your audience’s nerves when you combine it with long sentences and multiple bullet points on a slide. In fact, I remember attending a presentation where the letters appeared with typewriter sound and fonts changed color as they settled on the slide. I had a splitting headache after the presentation. This is what leads to death by PowerPoint. Never animate by word. Never ever animate by letter if you want to face your audience outside the meeting room after your presentation. 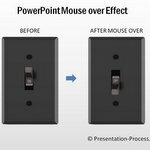 Use the power of PowerPoint animations wisely. When two or more elements are to be animated in a slide audience expects them to be animated the same way. Using different types of animation on the same slide confuses the audience. Keep your PowerPoint animations consistent across multiple elements on your slide. 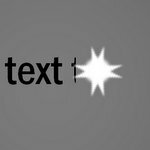 This allows you the opportunity to use a contrasting animation for a specific element if you wish to draw audience attention to that specific point. The direction of custom animation seems to go against the natural direction of the process flow. 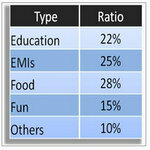 Though this seems subtle, it does have its impact on your audience’s understanding and retention of your message. Let the direction of your animation follow the natural direction of eye movement along the process. Use the reverse direction only for the last step to indicate end of flow. Custom animation is a wonderful tool to enhance the clarity of your message. Don’t waste the tool by using it to decorate your slides. We recommend you take a look at these PowerPoint graphics to see how animation can add impact and clarity to your message. Spend a minute to see the preview of slide animations here. These animations are from our Animations Pack for PowerPoint that has 750+ high quality PowerPoint animations that are professionally animated to enrich your business presentations. 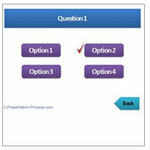 This pack is a great resource for those who create training, e-learning or other information style presentations. Please browse the pack to know more.